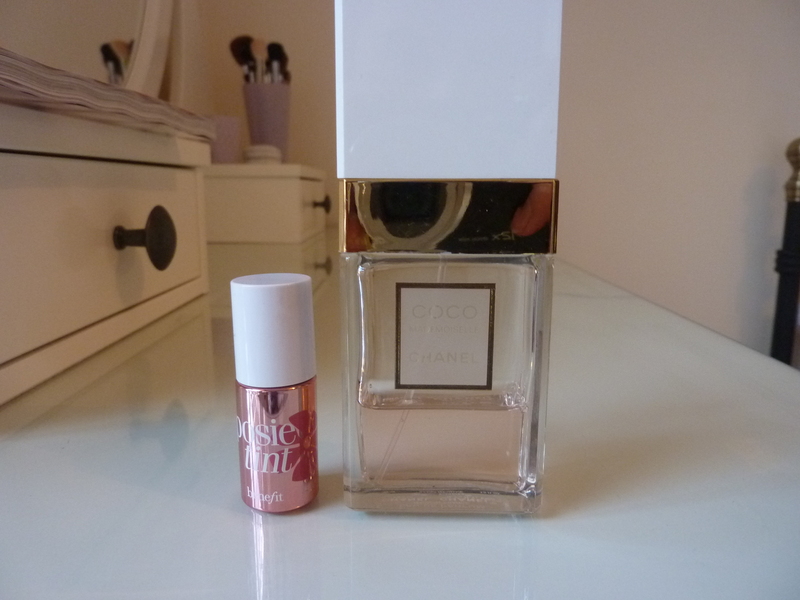 Cheek stains don’t really feature in my make up collection. I love cream blushers and liquid highlighters, but I find cheek stains a little odd – they’re not a cream, not a powder and normally very sheer. 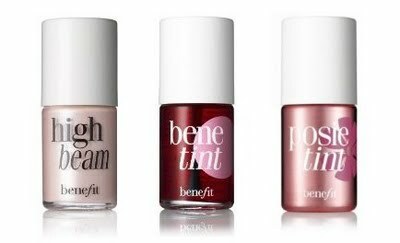 I tried Benetint years ago, but found the consistency very running and wasn’t wowed by the rosie shade. Posietint is a much lighter shade than its older sister Benetint. Straight from the jar it looks like a bright bubble-gum pink, but don’t be scared off, once applied it’s a suibtle petal pink. The fluid has a thicker texture than Benetint, almost gel-like, and spreads easily over cheeks, simply dab on a few spots or small lines on on the cheeks, blend in quickly. It leaves a lovely glow on the cheeks, but it’s not dewy like a cream blush. For a more intense colour, allow to dry and apply another layer. It also works well with Benefit’s high beam, which can be dabbed on the cheek bones to further highlight the cheeks. 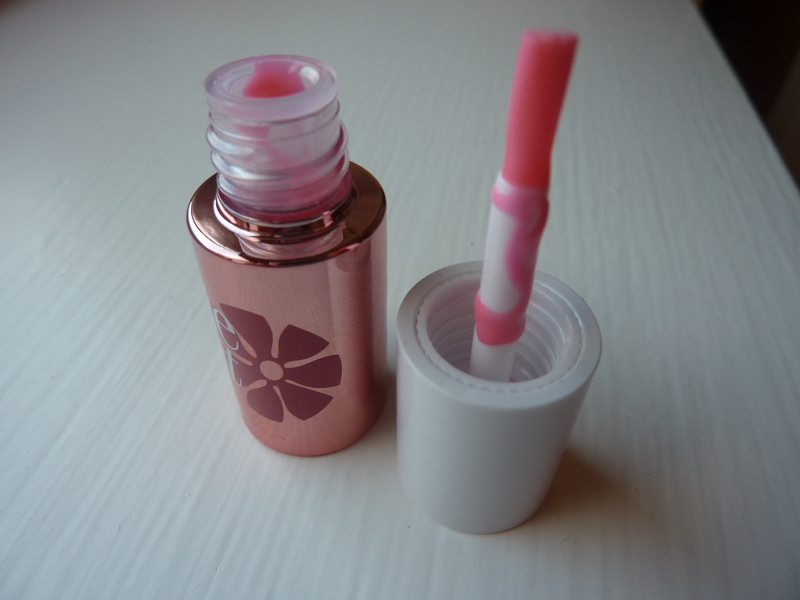 It’s advertised as a lip and cheek stain, but I’m not entertaining it on the lips – it’s too thin and runny. So, am I sold on cheek stains, not really, but this one deserves it’s place in my collection and is a welcome break from my usual routine and gives me a pretty, pink glow. Anyone that follows me on Twitter will know that I was on a mission yesterday to snap up a glamour mag, or two. Eight shops, two supermarkets and a shopping centre (and a little help from my friends) later I finally managed to get my hands on the much coverted July edition of Glamour magazine, well three editions to be precise. 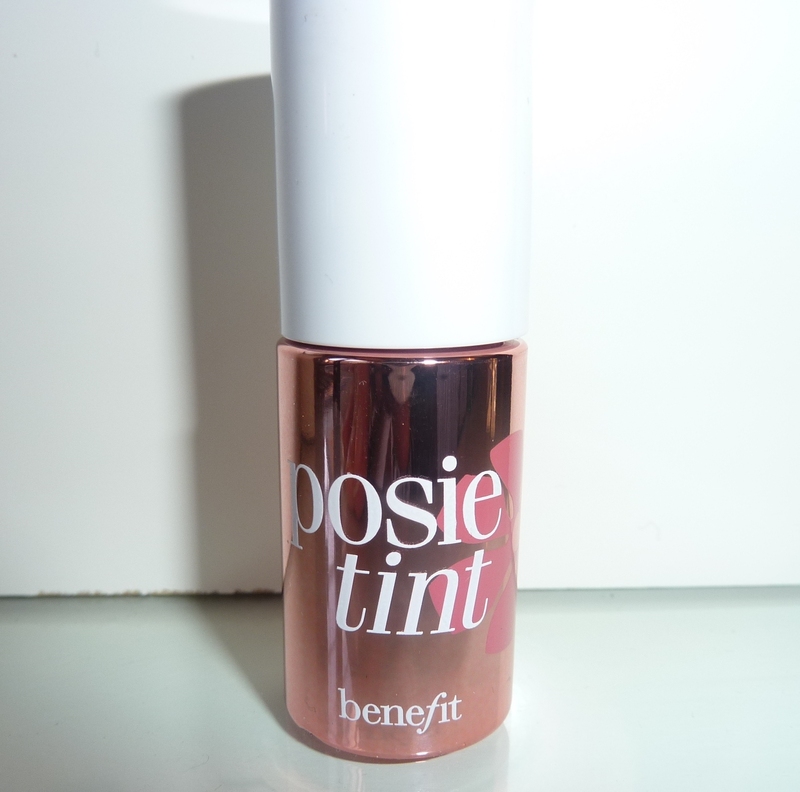 I blogged earlier in the week about the Benefit freebies available – High Beam, Benetint and Posietint. I like high beam, it’s a great liquid highlighter and really wanted to try Posietint, BUT I’m not a fan of Benetint, it’s just not my colour. So, when my subscription copy landed on the door mat, which one did they send me? You guessed it….Benetint. I’m happy that I now have the full set and will be doing a review of all of them, just as soon as I get through some of these magazines. Let me know if you managed to get one and what you think of the products. I do love a good magazine. I’d say I’m a habitual glossy mag buyer, even if I don’t have time to read them, I still can’t resist tearing them off the shelves. That said I’ve been a little better recently, weaning myself off the weekly’s and sticking mainly to my top monthly’s (Glamour, Instyle and Elle). All that, of course, goes out of the window in the summer months when our wonderful magazines are throwing freebies at us. We’ve all been there, in the airport stockpiling canvas bags, sunglasses, lotions and potions. Clearly I don’t need much of an incentive to buy a mag, so stick a free REISS top on the front and I’m sold…. 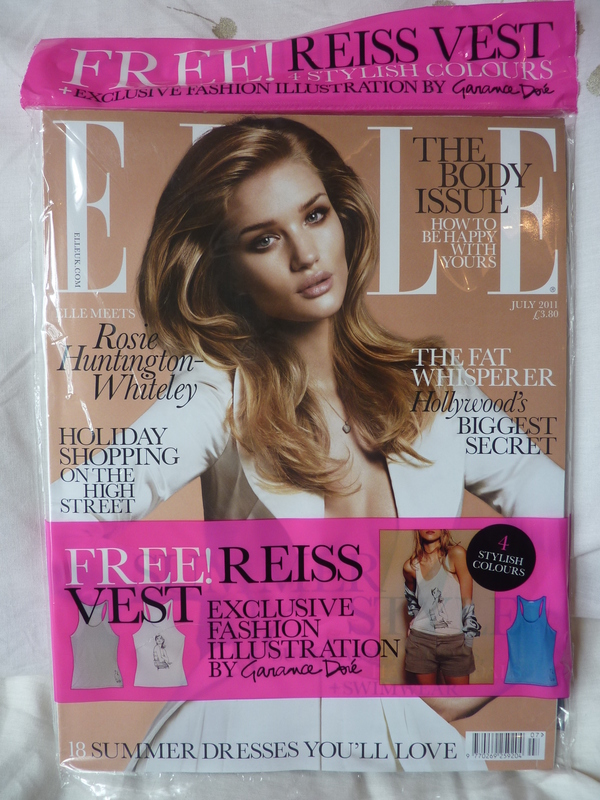 Yep, you heard me, buy July’s edition of Elle Magazine (in shops now £3.80) with the super-hot Rosie Huntington-Whiteley on the cover and receive a free limited edition Reiss vest top. 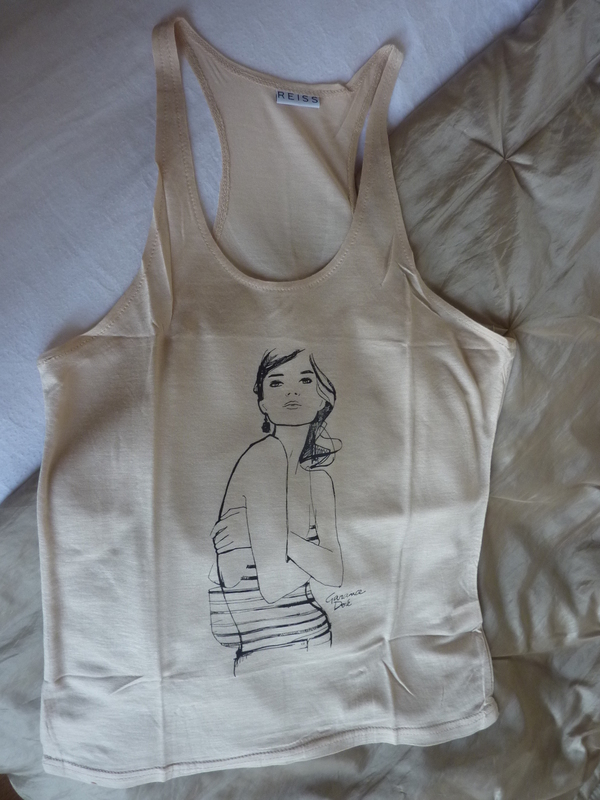 Designed exclusively by Garance Doré with 4 colours to choose from. I picked up the beige. Of course it’s made on the cheap and it’s quite thin but it’s not a bad effort and will look great layered under or over another top. It is however quite small, beware they market these tops as one size fits all but I’d say this is an 8. As the freebie season is upon us, keep your eyes peeled on the news stands, here are some worth watching out for. This one’s already out and flying off the shelves fast. 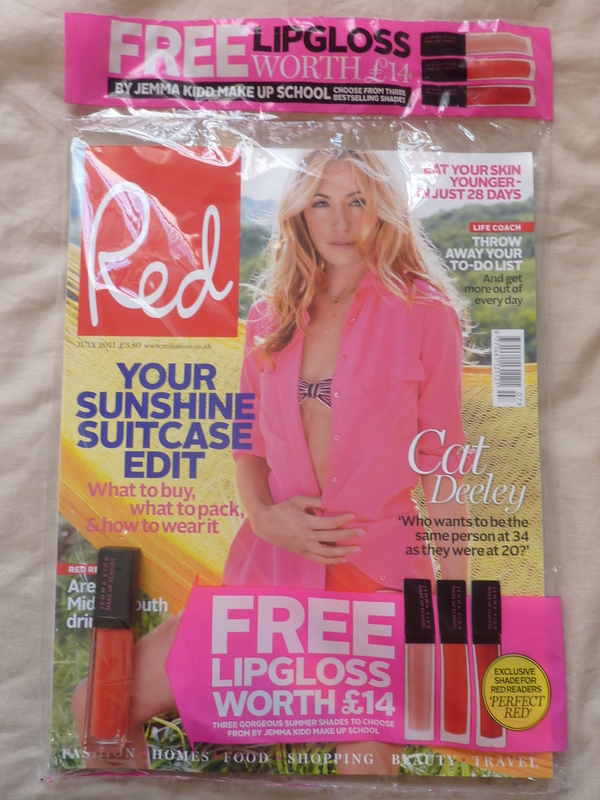 Red Magazine (Cat Deeley on the front) are giving away full size Jemma Kidd glosses, worth £14, available in three colours a coral, light pink and a red. 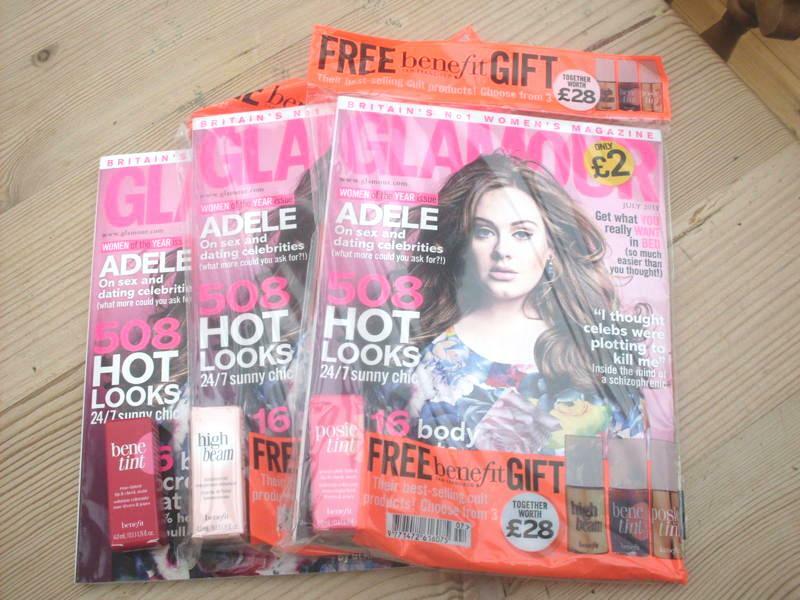 Watch out for Glamour magazine, out June 9th for some free benefit High Beam, Benetint and Posietint. Beware, unlike previous Glamour/Benefit collaborations, these are not full size products. The free samples are Approx. 4 mls, around a third of the regular size. Still, not a bad deal considering they retail between £18.50 and £23.50 for 12-13mls. 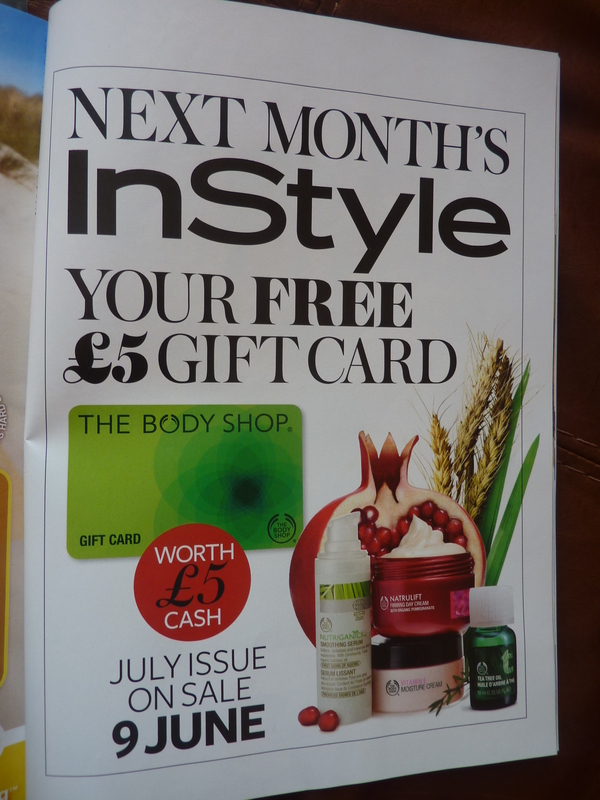 Pick up July’s edition of Instyle magazine for a free £5 Body Shop voucher. Out June 9th. Also this month you can pick up a free full size Inika Mineral Eye liner or Inika Mineral Eyeshadow with Marie Claire Magazine and an £11 Leighton Denny Nail Polish with Harpers Bazaar magazine (£4.20). Cue a rush to the newsagents.